Our Spring Break camps are not your typical camps, we use this camp to delivering to each participant the opportunity to learn more about the game of basketball. While there are many camps that will be conducted during this time, most of them provide the same services. Contrary to the others that hold camps, we deliver camps that are more focused on being a basketball solution for players to understand the game better, get a full week of learning, development to depart was better player. · Our coaching staff consists of not only Virginia Elite professional training staff, but it’s College Players, former College Coaches and former High School Coaches. Our program covers shooting Mechanics (off catch, off dribble), Jab Step Series, Dribble Separation, Weak Hand Development, Finishing, Advanced Dribble Scoring Methods, Moving Without the Ball, Post and Perimeter Work, Triple Threat Separation, Footwork, Seeing the Floor, Physical and Muscle Conditioning, Defensive Work, Team Chemistry, Leadership, Basketball IQ, and much more. Why spend you spring break with Virginia Elite? The expectation of our camp training program is to prepare every player to expand their basketball abilities and take a mental approach to the game. Our camps takes preventative measures to ensure players are capable of playing the game of basketball. 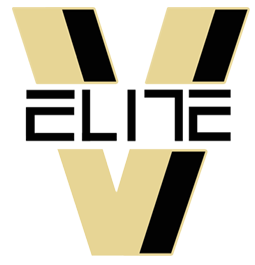 Results: We have over 40 players attending college through the Virginia Elite program.